Gruesome to Release Exclusive New Picture Disc via Decibel Flexi Series! ANTICLOCKWISE "The Blue Screen of Death"
Marco Mendoza will release his long-awaited new solo album, “Viva La Rock”, on March 2 via Mighty Music. The disc was recorded in Copenhagen with the multi-talented producer and guitar player Søren Andersen (Glenn Hughes, Mike Tramp) at the helm. The Søren/Mendoza collaboration proved to be the right way forward with the chemistry exploding in the studio, writing and producing some of the finest new rock songs that are screaming out to be heard through a radio somewhere in the world. The official lyric video for the song “Sweetest Emotions” can be seen below. The new disc will be the first solo album in eight years from Mendoza, whose last effort, “Casa Mendoza”, came out in 2010 via Mascot Records. “Viva La Rock” is big, bad and beautiful. It reflects the larger-than-life personality of Mendoza, both on and off stage. The Los Angeles native, who has a proud Spanish/Mexican heritage, is usually found holding down the bass rock foundation with artists like Neal Schon (JOURNEY), WHITESNAKE, THIN LIZZY, Ted Nugent and can currently be found with new classic rock champions THE DEAD DAISIES. With a hard-working ethic that sees him constantly out on the road either with THE DEAD DAISIES or as a solo artist, he was delighted when Mighty Music offered him the opportunity to release an album that could propel his own brand of music to a wider public. 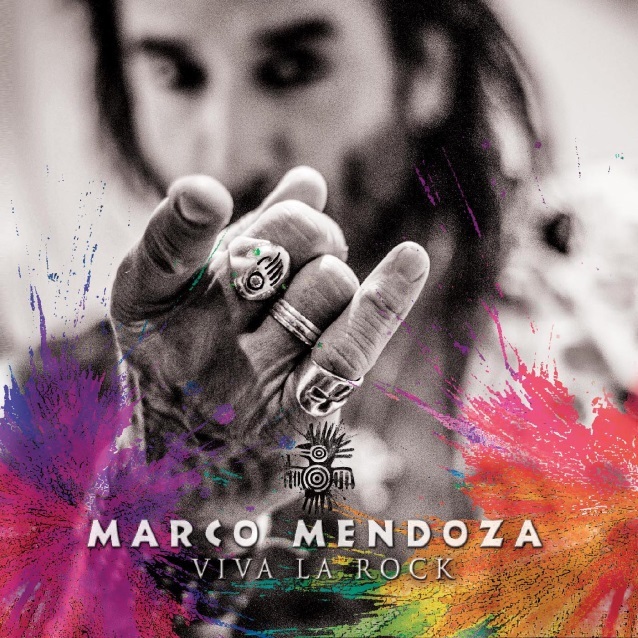 With the title track, “Viva La Rock”, thrusting out of the speakers as a worthy invitation to come and listen, Marco then takes you on a roller coaster of musical emotions and sounds with a number of potential hit singles like “Rocketman”, “Sue Is On The Run” and the ballad “Leah”. With a cauldron full of influences, including blues, funk and R&B, there is something for everyone that loves great music, and for good measure there a little of his past thrown in with a visit to “Chinatown” from THIN LIZZY, complete with a guest appearance by GUNS N’ ROSES guitarist Richard Fortus and former WHITE LION singer Mike Tramp on additional vocals, then the Ted Nugent cover “Hey Baby”. “Viva La Rock” will be released on limited color LP, CD and digital. Mendoza will support “Viva La Rock” with a European tour.